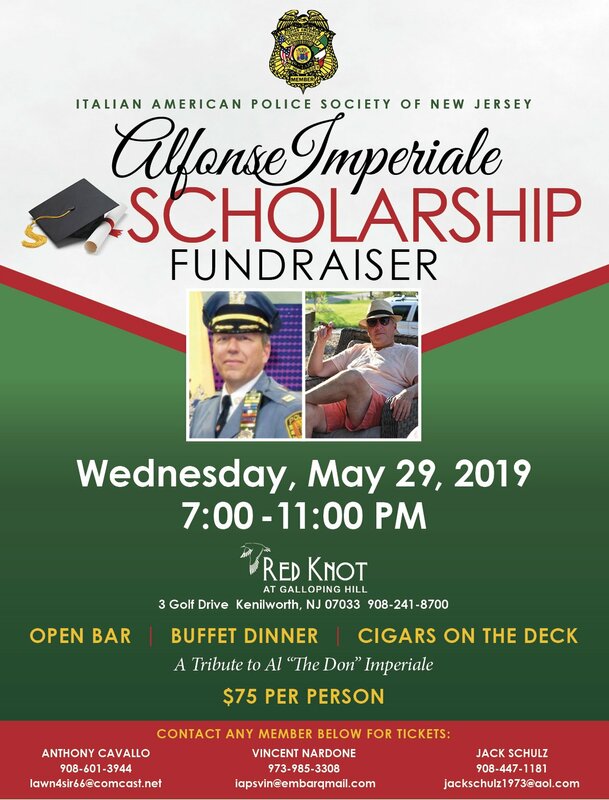 The Italian American Police Society of New Jersey is proud to announce ticket sales open for the Alphonse Imperiale Scholarship Event. 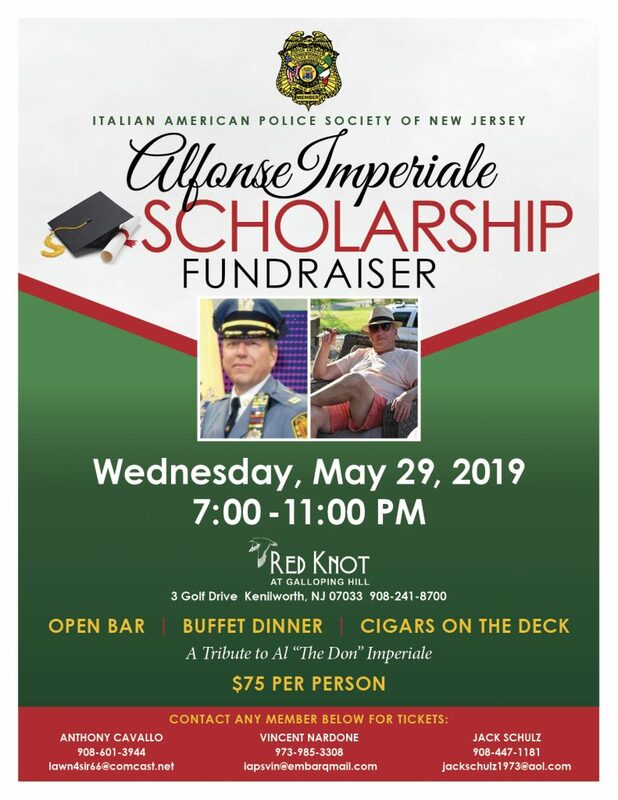 This annual event will not only remember an icon of our organization, but will fund scholarships in the future. To date our organization has provided more than $250,000 for college bound students. Click below to print and download flier for the event.